They’re sending dogs to jail in Massachusetts. The dogs aren’t serving time for digging up their neighbor’s lawn or tormenting the cat down the street. It’s actually an incredible program called “Don’t Throw Us Away” that is turning prisons into foster homes for dogs. Dogs On The Inside is a beautiful documentary that tracks the relationship between prison inmates and abused stray dogs. Both the inmates and the dogs are given the opportunity to work towards a better life on the outside. It’s the second chance of a lifetime. Dogs on the Inside now available! You can watch the film on-line, download, or order your dvd at the official Dogs on the Inside website! 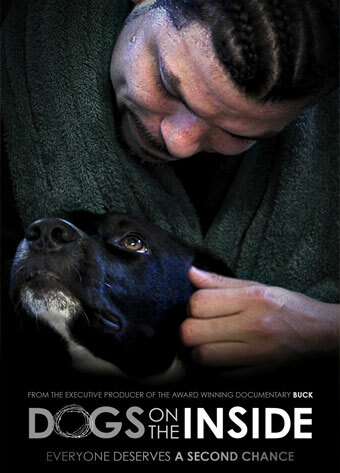 We’re very excited about the release of the official trailer for the new documentary, Dogs on the Inside. Cindy Meehl was so moved by the project that she signed on as the executive producer. We think you’ll agree!